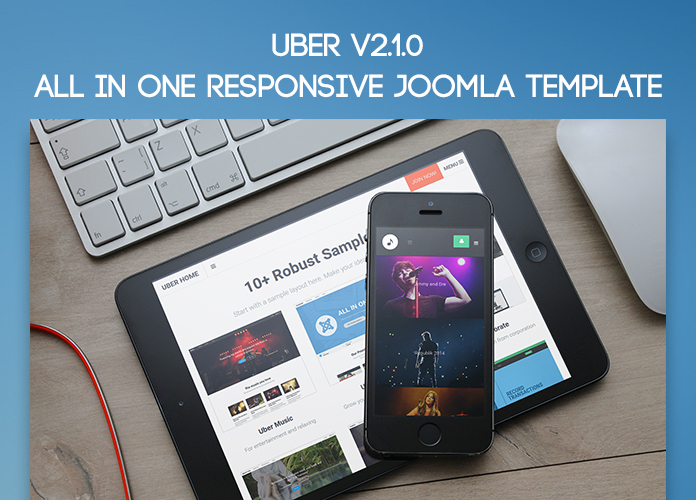 Uber - all in one responsive Joomla template version 2.1.0 has been released. You asked for a more powerful template, now you got it, my friends. Uber is now one of the most powerful responsive Joomla template, a Swiss knife for Joomla sites building with 18+ content blocks, 80+ variations, 12+ sample sites, and thousands of possibilities. Before we begin, have a quick look at the intro video of our All in on responsive Joomla template - Uber version 2.1.0, so you can have a first impression of our beloved template. Joomla extension JA Advanced Custom Module (JA ACM) is equipped with two whole new content blocks Timeline and Accordion. Along with that are the new appearances for Slideshow, Feature Intro, Testimonial, Header, Container Slideshow, and Team content blocks. It's a whole new world now! 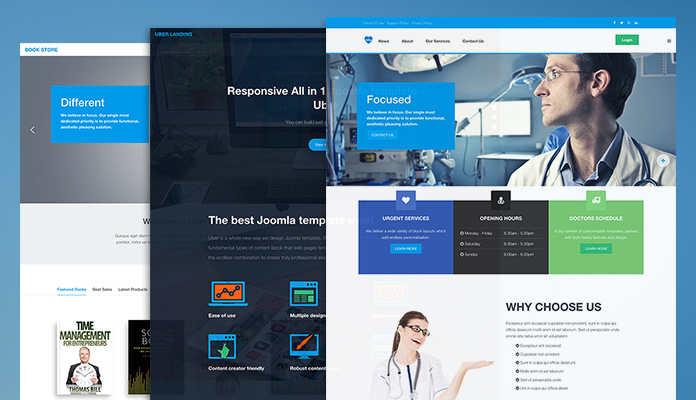 To help you begin with the new Uber template, we have prebuilt three new demo sites for different purposes: be it a Hospital, Clinics, a Bookstore, or an Online landing page. 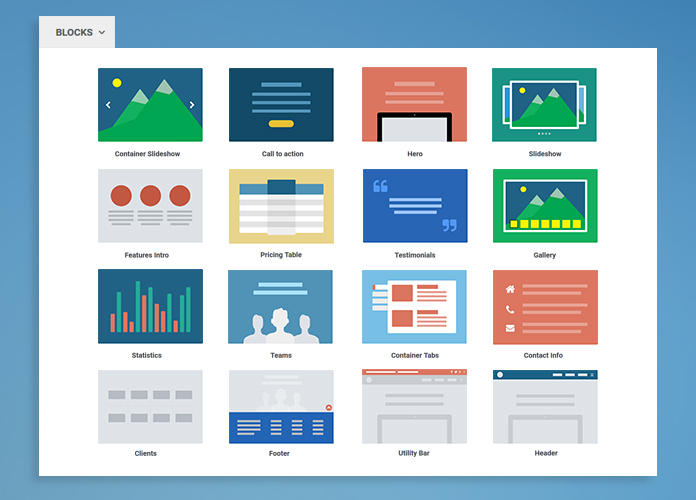 Now you can see the real strength of our all in one feature template. Users used to complaint about the slow update of Uber template. In version 2.1.0, we want to keep Uber fresh and always up-to-date. At core, Uber is now updated for the latest Joomla 3.4.1. 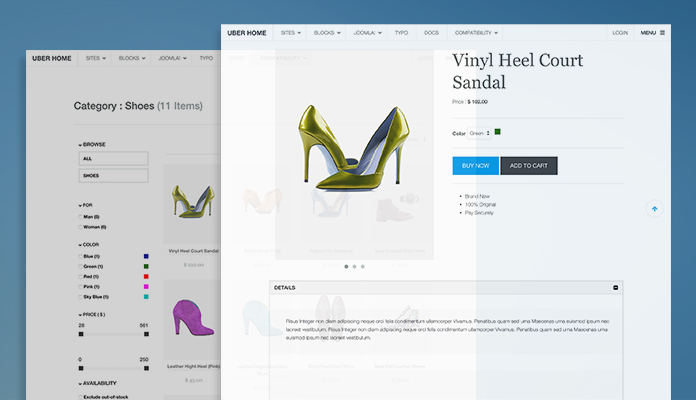 Before, Uber template has supported various third-party Joomla extensions like VirtueMart, EasyBlog, EasyDiscuss, EasySocial, AcyMailing, Kunena, and a lot of JoomlArt branded extensions. The Uber tool box is now more diversified with support for Joomla shopping cart component - PayCart and Social networking component - JomSocial 4. It's all about the talk, let have a look at the demo of Uber version 2.1.0. We love to hear your thoughts on this March template, please leave your questions and comments!